The First World War had a seismic impact on New Zealand, reshaping the country's perception of itself and its place in the world. 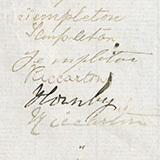 The 1893 Women's suffrage petition — signed by more than 25,000 women, about a fifth of the enture adult European female population — helped pave the way for the passage of New Zealand's world-leading Electoral Act in September 1893. 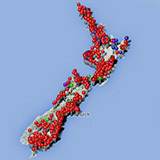 Find exact locations and further information for more than 900 memorials throughout New Zealand.